'Bilbao BBK Live' Festival in Spain - giorno 1 [June 7, 2011]. . HD Wallpaper and background images in the Coldplay club tagged: coldplay bilbao bbk live festival spain day 1 july 7 2011. 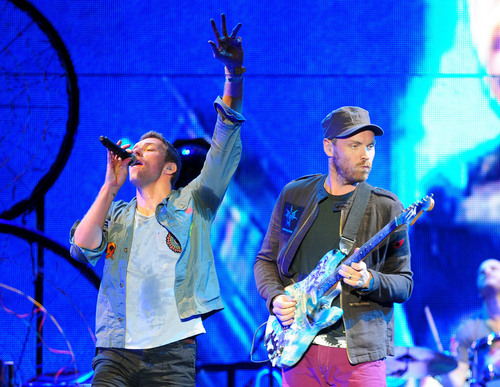 This Coldplay photo might contain concerto and racchetta da tennis.